Harris County fought for its bail system in front of a panel of three federal appellate judges Tuesday morning. The County is asking the court to overturn a lower judge's ruling that called its pretrial processes unconstitutional. NEW ORLEANS — A panel of three federal appellate judges seemed concerned Tuesday morning with Harris County’s bail practices concerning poor misdemeanor defendants, but they also questioned a lower judge’s ruling that changed the county’s system. The 5th U.S. Circuit Court of Appeals in New Orleans held an hour-long hearing on the pretrial system of Texas’ most populous county, where arrestees who can’t afford their bail bonds regularly sit in jail — often until their cases are resolved days or weeks later — while similar defendants who have cash are released. Harris County is fighting an April ruling in which U.S. District Judge Lee Rosenthal called the county’s bail practices unconstitutional and ordered the release of almost all misdemeanor defendants from jail within 24 hours of arrest, regardless of their ability to pay their bail amount. Charles Cooper, the attorney representing Harris County judges, spent most of his time in front of the judges arguing that the federal courts weren’t the right arena for the current bail fight. He said inmates requesting release from jail need to go through state courts first. Judges Edward Prado and Catharina Haynes seemed unconvinced of the argument. Most misdemeanor defendants in Harris County who are released from jail before their trial are released on money bail — where a judicial officer sets a cash amount to ensure a defendant returns for future court hearings. 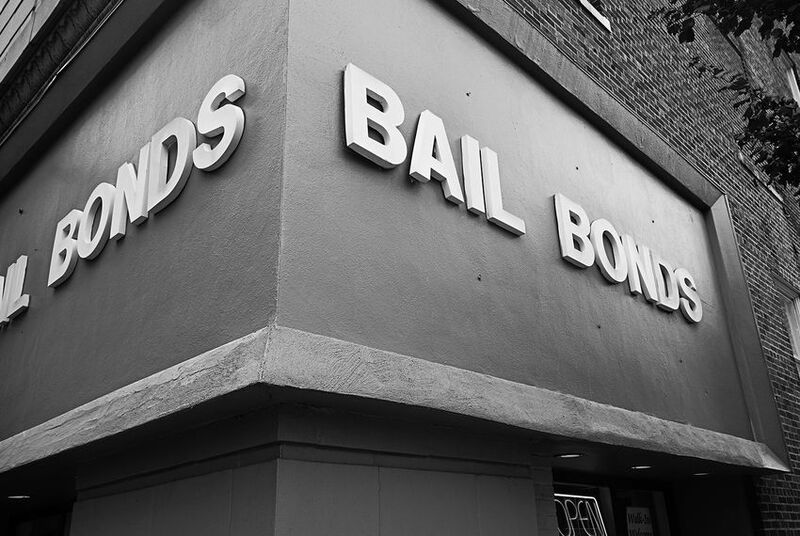 In her ruling, Rosenthal said the county denied poor defendants due process by usually ignoring recommendations to release defendants on personal bonds, where no money is due, even though they couldn’t afford money bail. “They’re called hearing officers. Is there a hearing or do they just look at the form and make a decision?” Prado asked. Judge Rosenthal’s ruling was groundbreaking. In it, she ordered that all misdemeanor defendants who sign an affidavit claiming they can’t afford their initially-set bail bond amount must be released on a personal bond. She also said all those indigent defendants must be released within 24 hours of their arrest, regardless of whether they’ve had their probable cause hearing. If inmates arrived to the Harris County jail from an outlying facility after 24 hours of their arrest and they hadn’t had their hearing yet, the sheriff was ordered to release them on a personal bond. Haynes said she was “shocked” by that order. “It seems chaotic to say a sheriff can ignore a court order,” she said. She also questioned the time frame of 24 hours. “Why not 48 hours? Or 72, or even 96? Where is the magic of 24 hours other than the Texas law to find probable cause, which you’re not challenging?” she asked attorney Alec Karakatsanis of Civil Rights Corps, who was representing the former inmates. Karakatsanis said the time frame aligned with the state law, and mentioned defendants who lose their job, car and insurance while detained in jail. Throughout the appellate hearing, judges questioned what was happening in the county since the injunction. County Judge Darrell Jordan, the only Harris County judge who rejected money bail for indigent defendants before the ruling, was at the arguments and said afterward that he wished there was an opportunity to talk about the system under the changes. Overall, he said, the process hasn't changed. Harris County officials wouldn’t comment on the arguments, but on the courthouse steps, John O’Neill, an appellate attorney for the county, said more defendants skipped court dates after the injunction and before the flooding caused by Hurricane Harvey.